The DN Journal Newsletter is sponsored by Escrow.com, Making the Global Market a safer place, since 1999. Welcome to DN Journal Newsletter #62! This publication is sent only to subscribers who registered at DNJournal.com to receive our free newsletter and email notifications when new articles are posted on our site. You may unsubscribe at any time by sending a removal request to editor@dnjournal.com. The domain aftermarket may have turned a corner in the 2nd quarter of 2013. 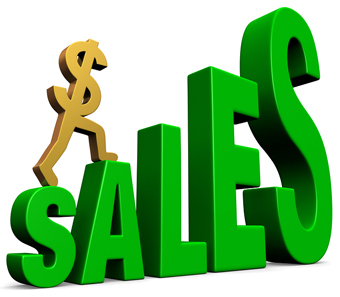 We've just finished breaking down the data for all sales reported to us in the quarter that ended June 30 and almost all of the key indicators either rose or held their own against the previous quarter (1Q-2013), as well as the same quarter a year ago (2Q-2012). The key reference points - total dollar volume across all extensions, total .com dollar volume and the median sales price across all extensions all rose from both year ago and previous quarter levels. year ago and 3% better than 1Q-2013. Total $ volume can sometimes be misleading because just one or two huge sales in a given quarter can push it well above comparable quarters, but that is not the case with the 2Q-2013 comparisons. When you total the three biggest sales from each of the quarters we are comparing (2Q-2013, 2Q-2012 and 1Q-2013) they are all very close. Those totaled just over $1 million in 2Q-2013, just over $1.1 million in 2Q-2012 and just under $900,000 in 1Q-2013. The total $ volume numbers for .com only were also up in 2Q-2013, reaching $16.8 million - a 9% jump from $15.4 million reported in the same quarter a year ago and 4% better than the previous quarter (1Q-2013). The numbers were also better for what is probably the most accurate indicator of market health - the median sales price (the point at which half of all reported sales were higher and half were lower). That is different than average sales prices which can be skewed significantly by a small number of blockbuster sales. In 2Q-2013 the median sales price across all extensions reported to us was $2,750, a 2.3% improvement over both 2Q-2012 and 1Q-2013 (the median was $2,688 in both of those quarters). Dot com image from Bigstock For the .coms only, the median price was the only metric where where the dominant extension was off a bit. The median .com price in 2Q-2013 was $3,097, almost identical to the $3,100 median in 1Q-2013, but off 3% from the $3,188 .com media in the same quarter a year ago. (Editor's Note: As always, we want to remind you that we do not track sales below four figures (to be specific we track .com sales of $2,000 and up and all other extensions from $1,000 or more). So, our median figures are higher than they would be if we tracked the entire universe of domain sales. Conversely, total dollar volume reported to us is less than it would be if we tracked sales at the lowest end of the market). Further evidence that the market is turning came at the start of the current 3rd quarter when two of the year's three biggest sales to date were logged in early July - 114.com at $2.1 million and Body.com at $380,000. A few days from now we will be reporting another major sale (that will fall in between those two figures), another signed of renewed activity at the ultra high end of the market after a long drought. Getting back to the latest full quarter results (2Q-2013), another indicator of increased market activity is the number of transactions reported. In 2Q-2013 4,500 transactions across all extensions were reported to us - a 16% jump from the same quarter a year ago and virtually identical to the 4,509 reported in the previous quarter (1Q-2013). Looking at .com only, the 2,843 transactions reported in 2Q-2013 was a whopping 21% increase from the 2,341 logged in the same quarter a year ago and a couple of percentage points higher than the 2,789 reported in 1Q-2013. 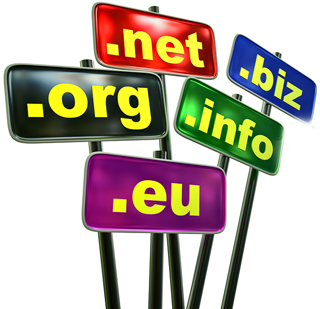 The non .com gTLDs and the ccTLDs didn't fare quite as well as the .coms in the latest quarter, but still they each had some successes to celebrate. For the ccTLDs the total reported $ volume in 2Q-2013 was $3.3 million, 6% less than the $3.5 million reported in both 2Q-2013 and 1Q-2013. However, the country codes saw their median prices go up. In 2Q-2013 the ccTLD median price was $1,995, a nearly 5% jump from the same quarter a year ago when it was $1,908 and 3% better than the 1Q-2013 median of $1,937. million by 10%. 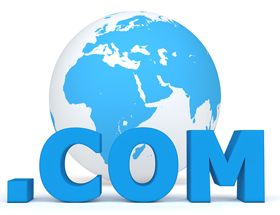 The non .com gTLDs also saw a big jump in the number of transactions with the 732 sales reported in 2Q-2013 representing a 21% increase over the 604 reported in the same quarter a year ago and a nearly 7% rise from the 687 reported in the previous quarter. Most of you follow the general economic news so you know that in many corners of the globe, especially in the U.S., recovery from the Great Recession appears to be underway. That can only be good news for domains and we are hopeful we will have more such news to report when the the current 3Q-2013 results are in the books. Thank you for requesting our newsletter, reading and continuing to visit us at DNJournal.com. Your support is truly appreciated! You may unsubscribe to this publication at any time here.